Construction Methods – ΑΤΤΙΚΟ ΜΕΤΡΟ Α.Ε. The entire ATHENS METRO project is underground. In this way, its objective, i.e. the rapid transfer of citizens in the wider area of the capital is achieved. For the construction of the underground Metro stations and tunnels, up-to-date methods, which ensured safe, workmanlike and rapid completion of the project, were applied. The project construction methods were used either separately or combined one to another, as deemed applicable, always in relation with the geological conditions and the in situ conditions of the surrounding area. Excavation with the use of Tunnel Boring Machine (TBM). This method was applied for the boring of tunnels; in particular TBM1 (named IASSONAS) was used in Line 2 section from LARISSA Station to AGHIOS IOANNIS Station, while TBM2 (named PERSEFONI) was used in Line 3 section from KATEHAKI Station to SYNTAGMA Station. Excavation with the use of the Open Face Shield (OFS). This method was used for tunnel boring and specifically for the construction of DAFNI – AGHIOS DIMITRIOS tunnel section of the Base Project, 765m. long, as well as for ANTHOUPOLI – PERISTERI Line 2 section, 910m. long. Excavation with the use of Earth Pressure Balance machine. This method was applied for tunnel boring and namely for the construction of the tunnel section from DOUKISSIS PLAKENTIAS to XANTHOU Shaft, 3,374m total long, of Line 3 extension to Doukissis Plakentias, while ths machine is now “working” for the construction of the extension of Line 2 to Elliniko. Use of the New Austrian Tunnelling Method (NATM). It was used for tunnel boring, at soils with poor mechanical characteristics, as well as for the excavation of some stations of the Project, namely PANEPISTIMIO, AKROPOLI, AMBELOKIPI, MONASTIRAKI, OMONIA, as well as for the excavation of the deepest section of SYNTAGMA Station. 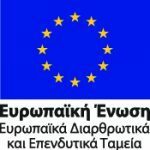 Moreover, the method was used at large parts of the network extensions to Doukissis Plakentias, to Aghios Dimitrios, to Aghios Antonios, to Egaleo, to Aghia Marina (Aghia Varvara Municipality) etc. Use of the Cut and Cover method. This method was mainly used for the excavation of the stations of the Project, as well as in a few cases, for the excavation of tunnels at locations where problems were encountered due to poor mechanical characteristics of the soil. Many sections of the Athens Metro network were constructed using this method, such as the Stations: SEPOLIA, ATTIKI, LARISSA, METAXOURGHIO, SYNGROU-FIX, N. KOSMOS, AGHIOS IOANNIS, DAFNI of Line 2, as well as ETHNIKI AMYNA, KATEHAKI, PANORMOU, MEGARO MOUSSIKIS, EVANGELISMOS, SYNTAGMA (Line 2 Station which is located at a smaller depth). This method was also used for ATTIKI-LARISSA and KATEHAKI-ETHNIKI AMYNA tunnel sections. The said method was also used for several sections of the extensions, such as AGHIOS DIMITRIOS & AGHIOS ANTONIOS along Line 2, HALANDRI & DOUKISSIS PLAKENTIAS Stations along Line 3, as well as a section of DAFNI – AGHIOS DIMITRIOS tunnel. Use of the Cover and Cut method. This method constitutes a variation of the cut & cover method and was used only at SYNTAGMA Station of Line 2, due to the particularity of the area.